Though it is normal to select works of literature or art as topics for the critical essay, students can write critical essays on anything like government policy, a speech or a fashion trend. The students should first understand what is expected from a critical essay. Majority of the critical essay assignments are on literary work like books, novels, plays, films and poems. The students are supposed to read the book or watch the play or the film and study it before writing a criticism. After studying the work they have to form their opinion on the work. Bear in mind that critical is not synonymous with criticizing negative points. It simply means you are to evaluate the overall negatives as well as positives involved. Critical thinking plays a very important role in writing a critical essay. Students have to deeply study, analyze and form their opinion on the object or the subject under consideration. For this they have to use their knowledge on the subject, topic and the background. It is very useful to read critiques by others too. Normally a critical essay has two parts. First part has to introduce the work that is being critically reviewed. It should briefly state what the author has written without stating any opinion of the writer of the essay. Even if the students buy essay they should read the novel, play, poem or watch the movie being analyzed in the essay. After reading the first part of the critical essay the reader will know about the book and what the author has written. The writer of the essay can express his/her opinion showing how successful or unsuccessful is the author in expressing, analyzing, or arguing the main idea of the book. 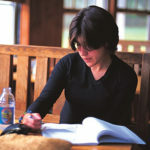 In case of a play or a novel author’s ability of developing the characters and use of different techniques can be discussed. A critical essay should not be an attack on the book or the author in anyway but an unbiased opinion of the writer and can even be an appreciation of the work if it is extremely good. The essay format for a critical essay is slightly different from many other essay formats. It has to inform the reader that the purpose of the essay is to offer an unbiased criticism of the selected work of art or literature. Then it has to briefly introduce the object of criticism so that the reader knows about it. Main body of the essay can express the opinion, support it with evidence quoting parts from the book and pointing out opinions from others too. Student can get familiar with the format for critical essay by studying a sample essay which can be bought from a research paper service. Students may need help in writing their critical essay. They can get sample essays for study and custom essays for meeting the requirements of assignments. They can order a custom essay from a good essay writing service that can provide a plagiarism free essay that meets all the requirements of the assignment. The advantage of ordering a custom essay is the ability to keep contact with the writer and get the essay written to his/her specifications.